Last week I was hired to assist as a field assistant by Peter Anderson and Stephen Braham of the SFU Telematics Research Lab with Phase three and four testing of a project they have named “Deployment of Unified Networks for Emergencies” or DUNE 2014. You can read about the entire project on this web site. 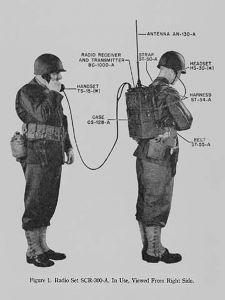 Basically, what we were testing is the future of emergency communications. Our current radio communications technology, as Peter and Stephen are quick to state, is largely the same as it was when first implemented in the 1930’s, and is showing its age. Certainly we have managed to implement digital protocols over radio, but the data bandwidth in the commercial bands is limited to about 56kbs, or the speed of the some of the faster dial-up modems from 1990. What we hold in our hands when we pick up a smart phone is eight decades of innovation in computing and communications technology. 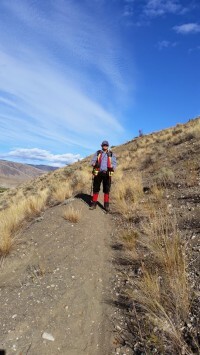 While in this blog I have critiqued certain uses for smart phones (backcountry navigation for one), they are undoubtedly the single most important innovation we currently have for emergency management. However, in an emergency, the first thing that goes down is the phone system, followed by the cell phone system, as the public easily overloads the capacity. Additionally, damage to electrical infrastructure causes cell sites to go on battery or generator power. As seen in the aftermath of Hurricane Sandy, the communications infrastructure usually goes down 24 hours after the electricity is knocked out, and stayed out for days. Thirdly, current first responder including gas, power, utility and municipal workers can all be on different carriers, and may not be able to interoperate. Enter the 700 MHz band, part of which has been set aside for public safety applications. Described as “Public Safety Broadband Networking” or PSBN, this chunk of spectrum has been designated for public safety use only, which means that it is not available for commercial or public use; this reserves it from being swamped in an emergency. It is specifically designated for interoperability, and to provide a common communications infrastructure. But the short and sweet description is that the vision for the PSBN is a cellular data system for emergency and first responders, and ultimately providing modern high speed data communications, voice over IP, Push to talk, and internet backhaul for emergency response. 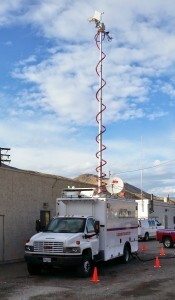 700 MHz mobile LTE cell site, used in the tests. Ashcroft BC was chosen as the field test site for phase 3 and 4 testing for various reasons; a small town in the BC Mountains it poses challenges that can be seen in many small towns for flood, fire and other disaster responses. The first thing we noticed arriving was that there was no coverage for anyone on the Rodgers network – which would be a problem for a first responder attempting to communicate. The SFU AMECom (Advanced Mobile Emergency Communications) truck is a one-of-a-kind mobile communications and networking resource in the Province of BC, and possibly in all of Canada. Equipped with various satellite, VOIP, radio, and other networking capabilities as well as a 20kw generator, it can provide communications for an emergency operations centre or a small town. For this test it was also the PSBN LTE Cell Site. Testing consisted of driving and walking around Ashcroft and the surrounding hills, checking signal strength, network connectivity, and throughput as well as Stephen doing advanced monitoring of the performance of the cell site, and checking whether signal strength met with the physics models for the 700 MHz frequencies. Then for two days several local emergency managers, first responders and other public safety workers roamed the area testing the new technology. In play were two Android-based Motorola Smart Phones, and two mobile LTE modems, both of which could create mobile WiFi hot spots. 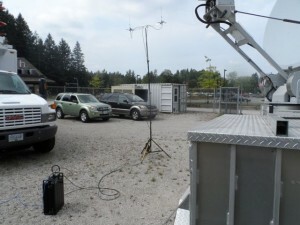 The SFU AMECom truck booted the cell site, and configured the uplink through local Shaw and Telus networks, and through satellite internet as part of the demonstration. By testing to failure several times we managed to learn a lot about configuring such a system in a near real-life situation. This area is a rattlesnake refuge. We didn’t see any. Hiking the mesas above town. Within the next 5 years the PSBN will become commonplace. They are already deployed in several cities in the US. The goal of interoperability, and various agencies being able to seamlessly communicate both within their own networks, and to each other in an emergency is on the way. There will be a lot of bumps in this road. Will SAR be using this system? Difficult to say. Our needs in the wilderness are for stable long range communications, and our funding limitations make me believe that SAR will be among the last groups to be able to take advantage of the PSBN, if at all since in some minds we’re not even first responders (more on this another time). However, the internet access is already an essential for modern SAR Incident Command, and as technology improves, extending access to the far reaches of the wilderness search area will eventually happen. For SAR’s role in disater response, the PSBN will become an essential link. This is just a small glimpse into the future of emergency communications. What if what if what if your public safety agency has a seemingly endless supply of 3G flip phones? I’m guessing 5 years of hard, difficult, terrible interoperability.